Schuster helped shape the university, particularly its arts programs, through his generous support and patronage. Wright State University has lost a cherished friend. Retired cardiologist and renowned Dayton philanthropist Benjamin Schuster, M.D., died Friday, August 24. A clinical professor of medicine at Wright State since 1975, Schuster helped shape the university, particularly its arts programs, through his generous support and patronage. Schuster and his late wife, Marian, were faithful patrons of the university’s creative arts programs. They attended theatre productions, concerts, dance performances and art exhibitions whenever possible. They served as Host Committee co-chairs of the first ArtsGala, an arts showcase that has raised more than $1.3 million in need-based scholarships for Wright State students majoring in performing and fine arts. The Schusters were a fixture at the annual event, attending each year to support the students. In 2009, Schuster made a substantial gift towards the modernization of the university’s Creative Arts Center. 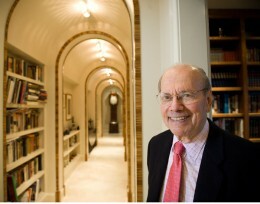 His contribution launched a $4.2 million renovation of the building’s concert hall. The state-of-art performance space reopened earlier this year as the Benjamin and Marian Schuster Hall. Schuster’s giving didn’t extend to the arts alone. He served the university as secretary of the Foundation Board and as a member of the Academy of Medicine, a community-based service organization dedicated to supporting excellence in medicine through education, research and service. Involved with the School of Professional Psychology (SOPP) since its founding, Schuster served as a member of the SOPP Community Advisory Board and created the Benjamin and Marian Schuster Scholarship to help clinical psychology students pursue their dreams. He and his wife were both inducted into Wright State’s Robert J. Kegerreis Society to recognize their exemplary philanthropy.